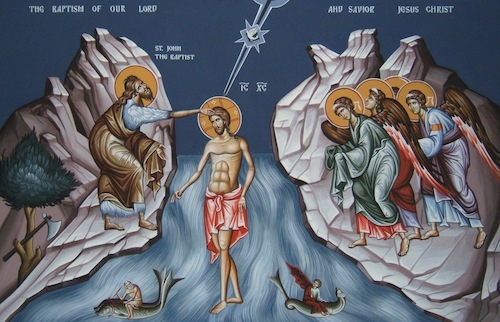 When Thou, O Lord, was baptized in the Jordan, the worship of the Trinity was made manifest. For the voice of the Father bore witness to Thee, and called Thee His Beloved Son! And the Spirit, in the form of a Dove, confirmed the truthfulness of His word. O Christ, our God who hast revealed Thyself, and hast enlightened the world, glory to Thee! Adult Education classes will resume January 16th. Ss. Mary and Martha Women’s Fellowship this Thursday, 7.00 PM. Archbishop BENJAMIN is planning to visit us next weekend (January 12-13). Please plan to be there in order to greet our beloved Hierarch! Sunday – 8.40 am, Hours, Divine Liturgy with Archbishop Benjamin. It is part life in the Church to have one’s home blessed with the Holy Water of Theophany, thereby “renewing” it as a place wherein God is welcomed and dwells amongst its inhabitants. When parishes were made up of persons and families all living in more or less proximity to the Church, this customary blessing was undertaken by the clergy immediately after the Blessing of Waters on the day of the Feast itself, and it continued until all the homes in the community were blessed. 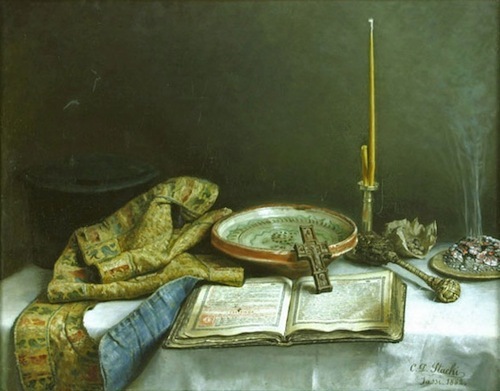 That one have an established place of prayer in one’s home – icon(s), candle, etc. (icon corner / shelf). It is from this “home altar” that the service begins. The priest will bring all else needed for the blessing. It is also advisable to have the Troparion of the Feast available, and perhaps even learn it by heart.